When I think back over the last year and try to pinpoint the most stressful part of my day, it is often DINNERTIME. I commonly hear my young kids ask the question, “Mom? What’s for dinner?” My mood, no matter what it was before this question, immediately plummets to the floor as I look at the time, look in my fridge, gauge my energy level… and then frantically answer, “I don’t know yet…”. If this situation sounds at all familiar to you, then this Faithful Families lesson was written for YOU! Typically, when this question is asked and no meal plan is made ahead of time, a common result is going out for dinner or ordering in. Occasionally going out for dinner is definitely a fun treat! But when it becomes the norm, it can add more stress to the family budget and is typically not as healthy of a meal as you could make at home. After you have a list of the meal items you have planned for the week, make a list of all the ingredients that you’ll need to make the dishes. Look in your refrigerator and pantry and write down the items that you’ll need to purchase at the store. 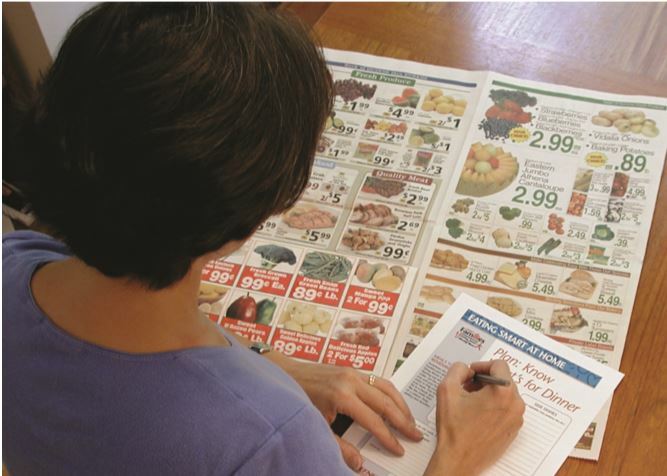 When you go to the store, make sure to stick to the list to avoid buying items that you don’t need, saving time and money. 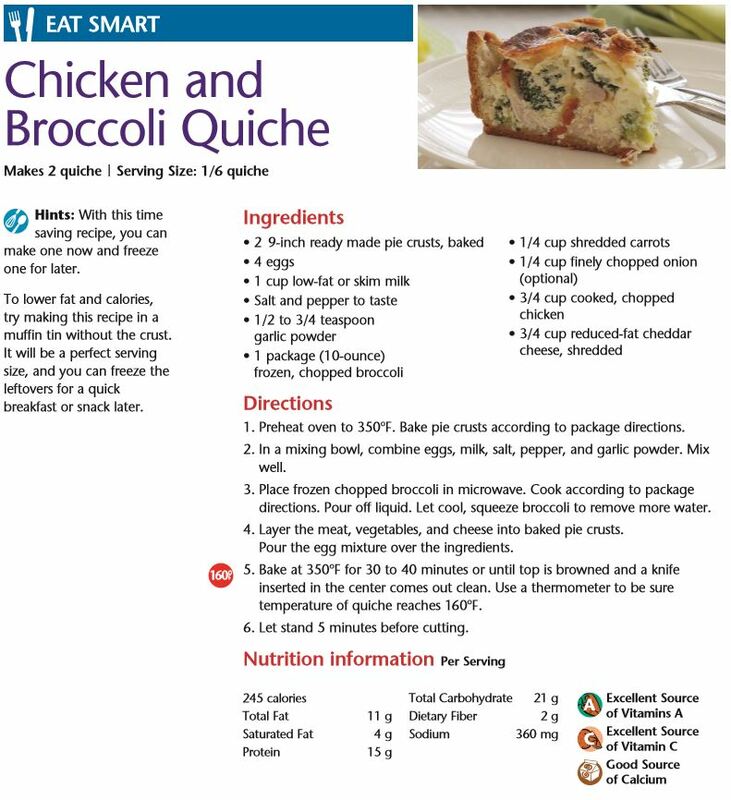 To help you get started with a fun, new recipe, click on this recipe for chicken and broccoli quiche! If you’d like to learn more about making a meal plan for the week, including many tips to save you time and money and engage the whole family in the planning process, check out the full first lesson “Plan: Know What’s For Dinner”. We made this first lesson available for anyone to view as a sample lesson from the Faithful Families curriculum. We would like to continue to share healthy eating and physical activity strategies through these quick lesson overviews. However, if you would like to have a Faithful Families class-series in your faith community, please follow this link to learn more about the program. If you’re interested in starting a Faithful Families class-series in your faith community and are wondering how to get started and order the full curriculum, please follow this link. As always, do not hesitate to contact us with any questions! A Diabetes-Free Life is Within Reach! Collaborative Cancer Partnership Opportunities Funding Opportunity!